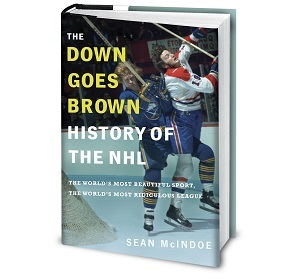 Down Goes Brown: Which GMs are under the most trade deadline pressure? Which GMs are under the most trade deadline pressure? We’re less than three weeks away from the trade deadline, which means GMs around the league are huddling with their scouts, putting together their wish lists, and working the phones. But which ones are under the most pressure as the clock ticks down? The short answer, of course, is “all of them.” Nobody gets to take the month off when the deadline is closing in, and every team will be expected to do something. Even minor moves can make or break a team’s hopes, so all 31 GMs are feeling the heat. But that heat isn’t the same for everyone. I’m sure George McPhee wants to make the right moves for his Golden Knights, but he’s basically playing with house money at this point. But other GMs around the league aren’t so lucky. In some cases, their jobs may be on the line. In others, the short or even long-term future of their teams are at stake. That’s not fun for the GMs. But it’s fun for us as fans, as we wait to see how (or if) they can maneuver their way through the coming weeks. So today, let’s pick out a dozen GMs who are facing the most pressure over the next few days and weeks, and count them down as the temperature climbs up. The league’s youngest GM is watching his team stumble through a disastrous season. Normally that would be a recipe for a high-pressure deadline as he faced down the need to salvage some sort of value out of a nightmare year. But the Coyotes aren’t a team with any obvious rentals in play. That’s too bad, because Chayka did a great job on last year’s Martin Hanzal trade. This year’s roster doesn’t seem like it will yield any similar opportunities, short of an unexpected move involving Oliver Ekman-Larsson. Chayka is already managing expectations towards a quiet deadline. That will make for a relatively low-pressure February compared to a typical last-place team. His off-season might be a different story. Rutherford’s a good example of the difference between being under pressure and being on the hot seat. While there’s obviously a big overlap between those two categories, Rutherford’s a guy who could sit back and watch his team crash and burn without being in any danger of losing his job. Two consecutive Cup rings will do that for a guy. But you know what’s better than two straight Cups? Three straight. That’s the opportunity Rutherford and the Penguins have, and it’s one that nobody’s managed to pull off in almost 35 years. Wayne Gretzky’s Oilers, Mario Lemieux’s Penguins, Steve Yzerman’s Red Wings… they all managed two straight titles, but couldn’t three-peat. The Pens have a chance, and lately they’ve finally started looking the part. But they still have their share of holes, and reinforcements would help. We’ve been hearing all year that Rutherford was working on something big. With the opportunity at achieving genuine dynasty status sitting right in front of him, it’s going to be tempting to do everything he can to give his team its best shot. Here are two words that always bring the pressure for an NHL GM: “playoff drought.” Here are two more: “new owner.” Francis checks both boxes, with a league-leading eight-season absence from the post-season and a new owner in Tom Dundon who probably wouldn’t like to see that continue. In theory, that should be keeping Francis awake at night. But, of course, this isn’t an ordinary situation. Francis isn’t just the GM; he’s the best player the team has ever had. Even if the Hurricanes miss the playoffs yet again, is an owner who’s been embracing the team’s history really going to fire a guy who was literally nicknamed “Ronnie Franchise”? It feels unlikely. But would he boot him upstairs to bring in new blood? Francis may prefer not to find out.